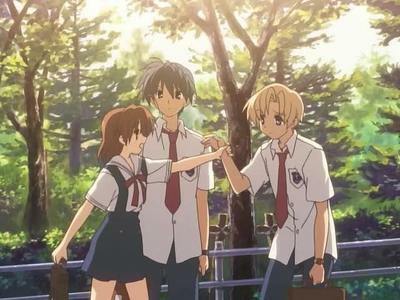 What is the first moment of Liebe relationship Nagisa-Tomoya? Du know that a major Liebe story in this Anime is around Nagisa and Tomoya relationship. Du also obviously know that in Chapter 22 Tomoya finally confess his Liebe directly to Nagisa and they start become lovers. But I believe that there are some moments before it that shows Nagisa and Tomoya feel in Liebe each other. So, I want to hear your opinion about the first moment seen in this Anime that Zeigen Nagisa and Tomoya feel in Liebe each other. Du can mention the chapter which shows that moment and the reason Du choose it as the first moment. I Liebe the romantic plot shown is this anime, so I believe get some interesting moments in it with all of your opinion in this question. I Liebe the relationship between Nagisa and Tomoya. I find it pretty Cute. But once Du get into Clannad After story finding out what happens from there is a big shocker. But not to jump ahead. 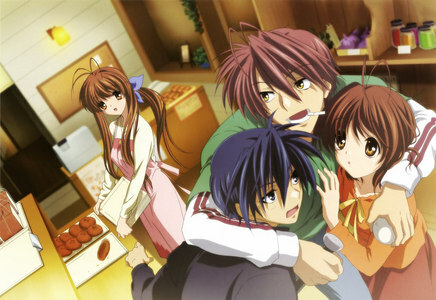 I think Nagisa and her family is sweet Schauspielen towards Tomoya. There is a part when Nagisa and Tomoya fall in Liebe with eachother. Thats really cute. I Liebe how Tomoya acts all calm around Nagisa at some times. I am sorry i don't really know how to answer this question. I gave it the best i can do for now. Clannad is a great/sad Anime. 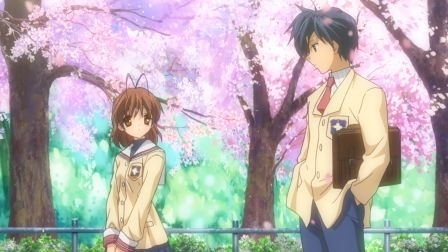 Nagisa and Tomoya are 1 of my Favorit couples. Yah Clannad After story is a really sad Anime. I haven't watched all of it though.